An Air Force major is ordered to approach a brilliant UFO in his Phantom jet over Tehran. He repeatedly attempts to engage and fire on unusual objects heading right towards his aircraft, but his missile control is locked and disabled. Witnessed from the ground, this dogfight becomes the subject of a secret report by the U.S. Defense Intelligence Agency. In Belgium, an Air Force colonel investigates a series of widespread sightings of unidentified triangular objects, and he sends F-16s to attempt a closer look. Many hundreds of eye witnesses, including on-duty police officers, file reports with a group of scientists working in conjunction with the Air Force. Here at home, a retired chief of the FAA’s Accidents and Investigations Division reveals the agency’s response to a thirty-minute encounter between an aircraft and a gigantic UFO over Alaska, documented on radar, which occurred during his watch. 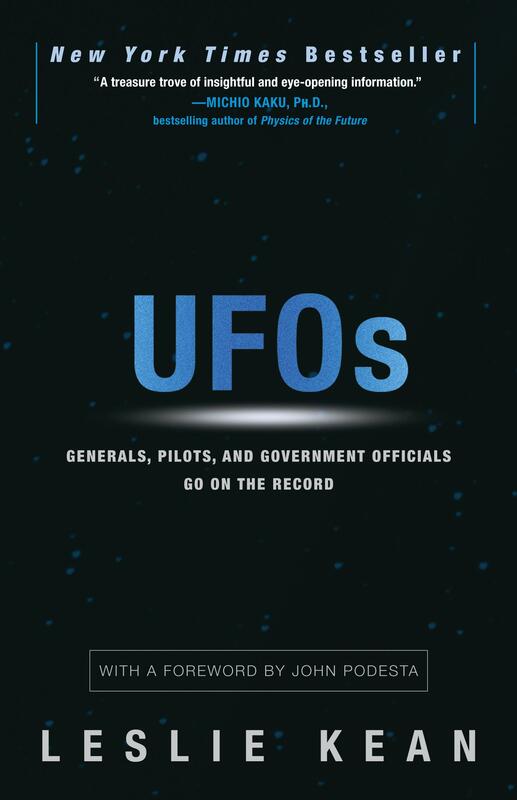 All three of these distinguished men have written breathtaking, firsthand accounts about these extraordinary incidents for Leslie Kean’s acclaimed New York Times best seller UFOs: Generals, Pilots and Government Officials Go On the Record. 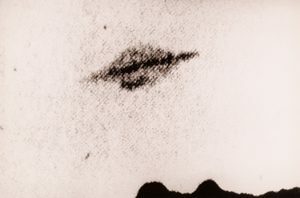 They are joined by Air Force generals and a host of high-level sources – including Fife Symington III, former governor of Arizona and Nick Pope, former head of the British Defence Ministry’s UFO Investigative Unit – who agreed to write their own detailed, personal chapters about UFO encounters and investigations, for the first time. Kean, an independent investigative reporter, spent over ten years studying the still unexplained UFO phenomenon and publishing articles on the topic in mainstream media. She reviewed hundreds of government documents, aviation reports, radar data, and case studies with corroborating physical evidence, and carefully examined scientifically-analyzed photographs. She also interviewed dozens of high-level officials and aviation witnesses from around the world. Kean draws on her research to separate fact from fiction and to lift the veil on decades of U.S. government misinformation. We know that of all UFO sightings reported, 90 to 95 percent can be explained as ordinary phenomena. 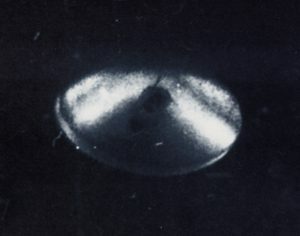 However, within that remaining small percentage, spectacular well-documented UFO events have been officially investigated by government agencies around the world, yet no conventional explanations were found. Throughout her book, Kean presents irrefutable evidence that unknown flying objects – metallic, luminous, and seemingly able to maneuver in ways that defy the laws of physics – actually exist. No one yet knows what these objects are, even though they affect aviation safety and possibly national security. The phenomenon has been officially acknowledged by numerous foreign governments. 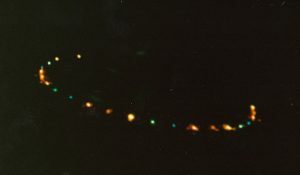 For these reasons and many others, Kean concludes that the UFO problem must be more widely recognized and ultimately solved through an unbiased scientific investigation. The material presented throughout this landmark book is sobering, unflinching, and undeniably awe inspiring, and moves us towards a goal of properly addressing this worldwide mystery. Published by an imprint of The Crown Publishing Group/Random House, the hardcover book has 28 chapters comprising 292 pages of text, plus 20 pages of endnotes. It includes an 8-page glossy photo insert and 22 original drawings by firsthand witnesses. Eighteen contributors from nine countries have written exclusive pieces for the book, including five military generals. 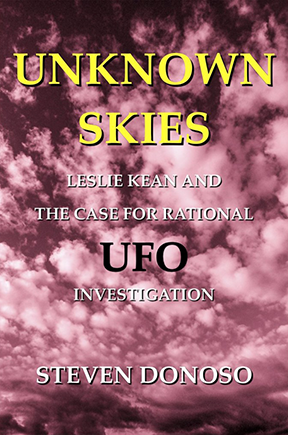 In depth interview with Leslie Kean about her book since publishing UFOs. UFOs has been translated and published in China, France, Taiwan, Brazil, Germany, Romania, Croatia, Vietnam, Bulgaria, and Serbia. A Spanish edition will be released in 2017. 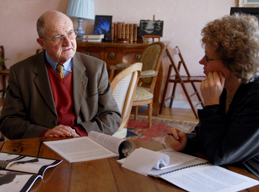 Leslie Kean currently contributes articles to the Huffington Post on research into UFOs. 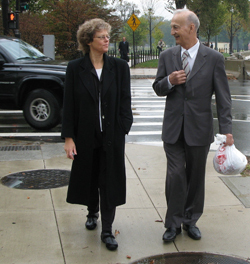 Leslie Kean is a board member for the new group UFODATA. Here is her article on the recent launch of the new initiative. Please check out the website and support this effort!